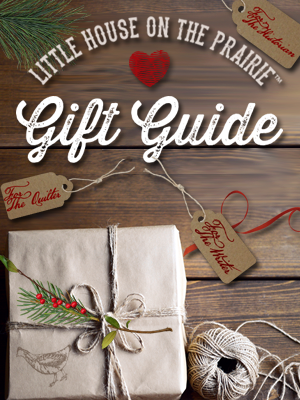 Millions of readers of Little House on the Prairie believe they know Laura Ingalls – the pioneer girl who survived blizzards and near-starvation on the Great Plains, and the woman who wrote the famous children’s books. But the true saga of her life has never been entirely told. Now, drawing on unpublished manuscripts, letters, diaries, and land and financial records, Caroline Fraser ― the editor of the Library of America edition of the Little House series ― masterfully fills in the gaps in Wilder’s biography. Revealing the grown-up story behind the most influential childhood epic of pioneer life, she also chronicles Wilder’s tumultuous relationship with her journalist daughter, Rose Wilder Lane, setting the record straight regarding charges of ghostwriting that have swirled around the books. Read an insightful look at Laura’s pioneering life in our exclusive essay “You Need a Farm! 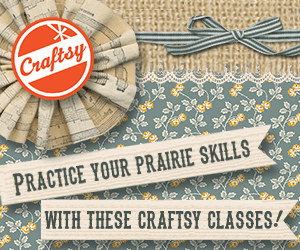 Laura Ingalls Wilder and American Farming” written by Caroline Fraser. 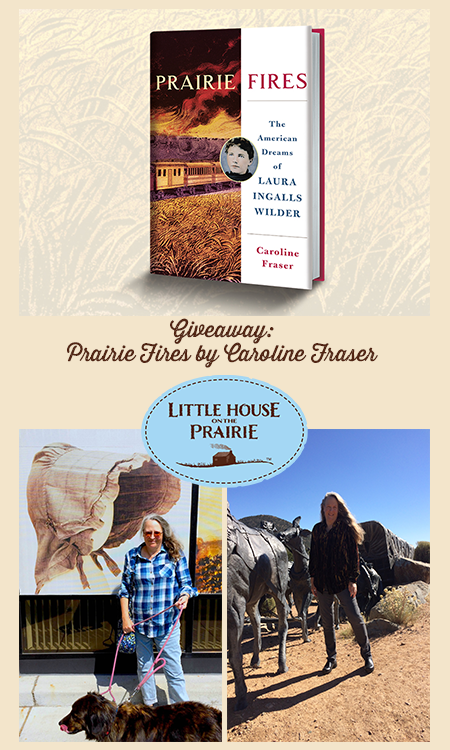 One autographed hardcover copy of Prairie Fires: The American Dreams of Laura Ingalls Wilder by Caroline Fraser – A comprehensive historical biography of Laura Ingalls Wilder, the beloved author of the Little House on the Prairie books. One copy of the “The Legacy of Laura Ingalls Wilder” documentary DVD – Learn more about Laura Ingalls Wilder in this insightful hour-long documentary directed by Dean Butler. The first entry is the newsletter sign up – confirm your subscription to unlock the other, optional entry methods. The giveaway will run from November 15 to 30, 2017. Winners will be contacted via email once their entry authenticity is confirmed. 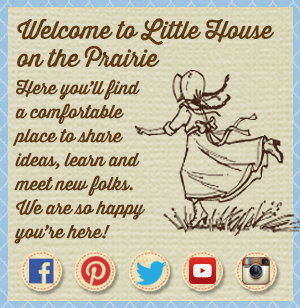 I have always love The Little House On The Prairie Books. I remember as a kid, going to my library and checking out the books. This was back in the early 70’s. Then I was so excited when the television series came out. Now to have a chance to win this prize package,a dream come true. Thanks for this oppurtunity to win. 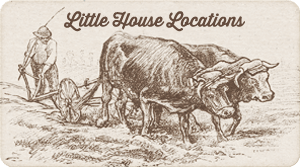 I have started reading the Little House Books as a child and as an adult, I have all of the books in this series as well as books about Laura’s great-grandmother, grandmother, mother, and daughter Rose. I have two great-nieces whose mother’s maiden name is Ingalls so she is related to one of Charles’ brothers. I hope to give my collection to them someday. I would enjoy either prize. Love the Laura’s books. Would love to win these and learn even more about her life. I enjoyed the Little House on the Prairie series when I was younger. I was always influenced by the way they cooked and did gardening back in the 1880’s. That’s when my relatives came to Wisconsin to live when they came from Belgium, gives me an idea what they did then too. 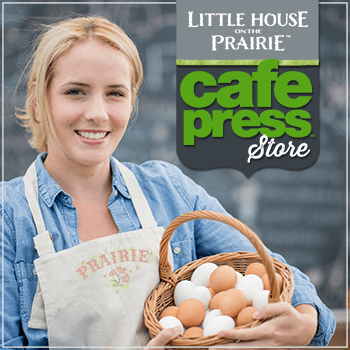 My daughters and grandchildren love Little House on the Prairie. I read several of the series to them as children. I still remember how much we looked forward to reading it together. So happy to see my daughter reading them to her children. I’d love to add this book to my Little House collection! Thanks for offering this great giveaway.